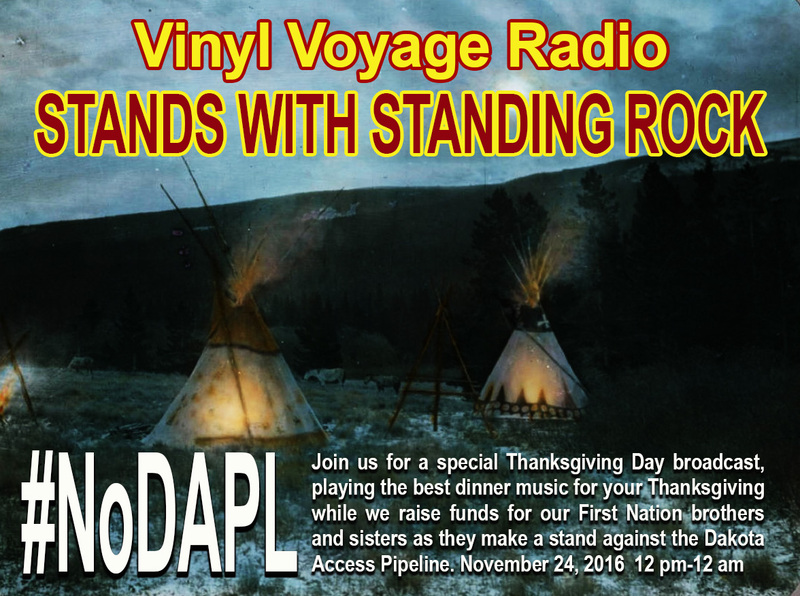 Today, Vinyl Voyage Radio stands in solidarity with our First Nation brothers and sisters. It's cold in North Dakota and they are planning to stay for as long as it takes. Give your support as they fight to protect their land, their water and their way of life. They are our "Water Protectors." What they do there affects each and every one of us. Remember them as you sit down to your Thanksgiving meal. And give a little. 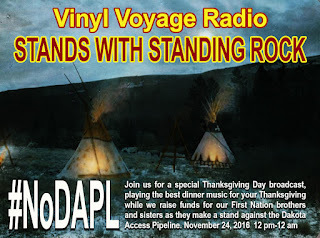 You can donate directly below to the Standing Rock Sioux Tribe or head over to their site to make a donation. All money goes to the effort to stop the Dakota Access Pipeline. You can also make a donation to Oceti Sakowin, the main camp of the water protectors. Such articles are nice to read. 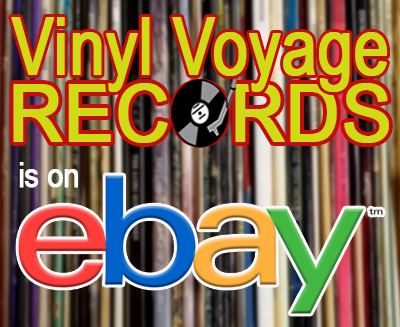 Welcome to Vinyl Voyage Radio, offering an eclectic mix of tunes from the 1950s through today. Most of the songs we play are from original vinyl. Streaming 24/7 from Brampton, Ontario. 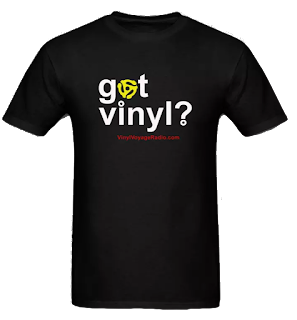 Although music streams 24/7 on The Vinyl Voyage, we also produce several original radio programs. "Adventures in Vinyl," hosted by Bruce David Janu, highlights a single K-Tel album, streamed in its entirety. "Adventures in Vinyl" brings us back to a by-gone era when music was accompanied by hiss and pops. Only now, you don't need to get up to flip the record. We'll do it for you. So grab a bean bag, turn down the lights and prepare to be transported to another time.